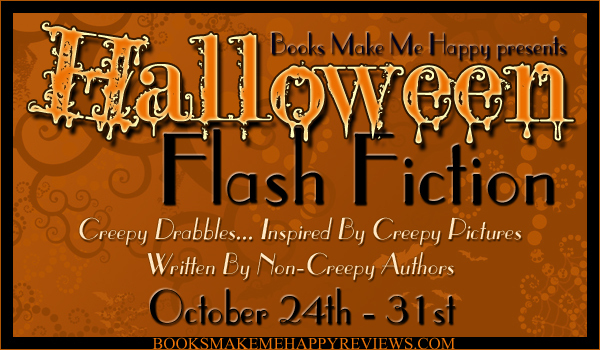 First, if you missed the trick-or-treaters last night (or just want a fast, run read), check out my story in the Coastal Magic Halloween Flash Fiction event. I had a blast writing it, and if it’s one third as much fun to read…well, you get the point! In other news, Barnes & Noble called N.K. Jemisin’s THE FIFTH SEASON “essential reading for every fantasy reader” and named it in the SF & Fantasy Blog’s new post on Defining the Genre: 7 Novels of Afrofuturism. Also, Publishers Weekly named the sequel, THE OBELISK GATE, one of the 20 Best Novels of 2016! This is a fabulous week for urban/contemporary fantasy readers! Faith Hunter has a new book out in her new Soulwood series, CURSE ON THE LAND, and Jim Butcher and Kerrie L. Hughes have co-edited the SHADOWED SOULS anthology, containing amazing stories by a host of equally amazing authors, including Jim Butcher himself. Before Nell Ingram met skinwalker Jane Yellowrock, she had no one to rely on, finding strength only in her arcane connection to the dark woods around her. But now she has friends in the newly formed PsyLED team to keep her grounded—even if being part of the agency responsible for policing paranormals comes with dangers of its own…. After training at the PsyLED academy, Nell returns home to her woods to find the land feeling sick and restless. And that sickness is spreading. With the help of her team, under the leadership of agent Rick LaFleur, Nell tries to determine the cause. But nothing can prepare them for the evil that awaits: an entity that feeds on death itself. And it wants more…. And New York Times bestselling author Rob Thurman’s infernally heroic Caliban Leandros takes a trip down memory lane as he deals with some overdue—and nightmarish—vengeance involving some quite nasty Impossible Monsters. Coastal Magic has become more than a convention for me in the few short years Jennifer Morris has been been running it. It’s become a family reunion. Every year she brings together the most amazing people and every year I feel like I’m coming home. If you want a taste of this very awesome event, you can come to the convention February 5-8, 2015 in Daytona Beach and/or join many of us this Friday for our Scary Stories Facebook event, starting at 7 pm ET.! There’ll be spooky tales, giveaways, great authors and other seasonal goodness. Together with Paige Tyler, I host from 8-9 pm. The full schedule is available here! Also starting Friday, Jennifer is hosting on her website a week of Halloween Flash Fiction inspired by some spooky pics she’s provided. Personally, I can’t wait to see what everyone’s come up with. The pictures were very inspiring! The schedule for this event is below. I hope you’ll come join in on the fun! 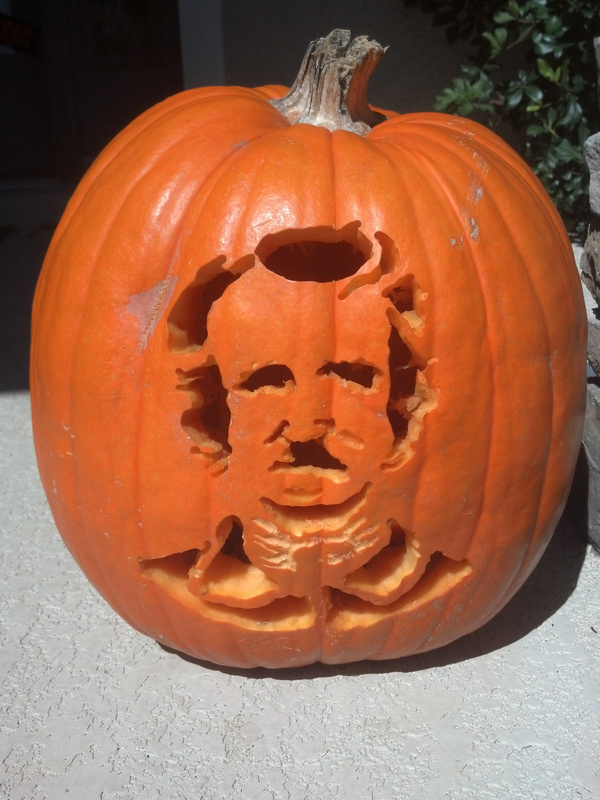 And here’s how my pumpkin turned out when my husband got his hands on it (and his dremel tool) the next day. Spiffy!